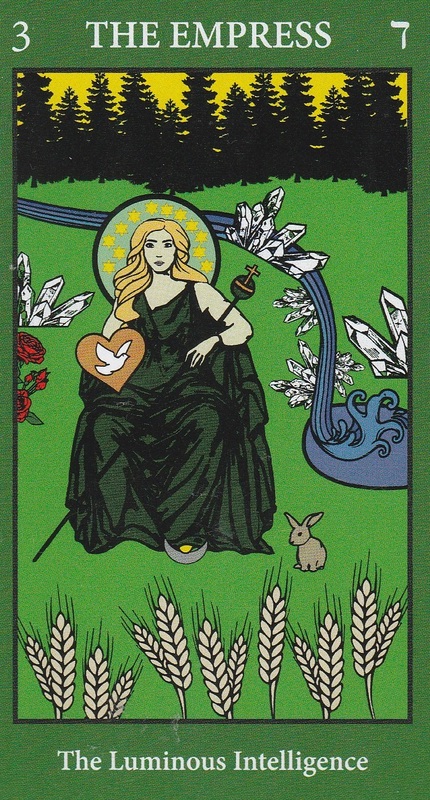 It’s the 15th week of the year and the card of the week is the Queen of Swords. 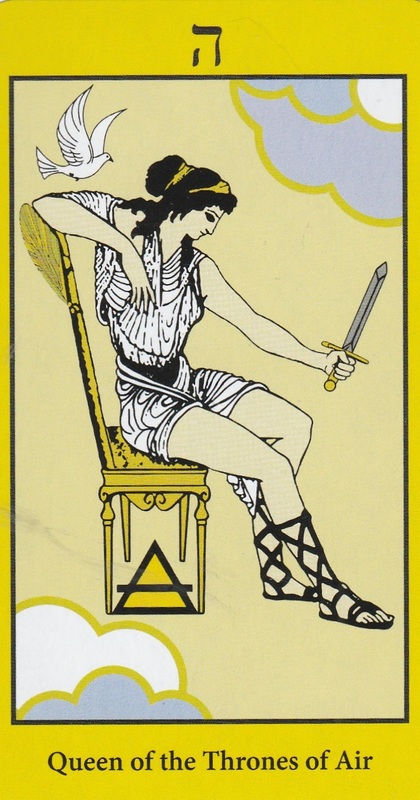 The Queen of Swords is a woman of the mind. She is sharp witted, intelligent and confident in herself. We’re adjusting to a lot of Retrograde energy and the combination gives us the opportunity to take the Queen’s sword and cut away attachments that we’ve formed by making peace instead of waging wars. This is the kind of opportunity that doesn’t come often so take advantage of it while you can. 1+5 breaks down to 6 in numerology, reminding us that love conquers hate. Mantra: Love heals all wounds. 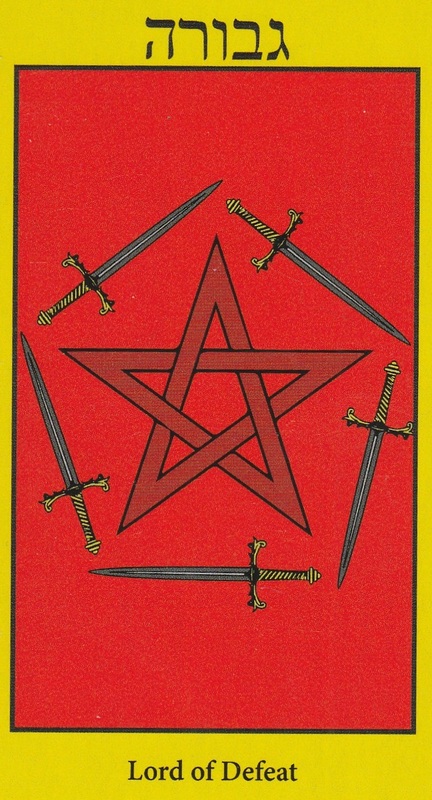 The 5 of Swords is a card of “everybody loses”. No significant gains will be made today so stay present in the moment and don’t worry too much about the past or present because nothing can be done at this time. This is probably because Mercury just stationed retrograde and there’s a lot of static and crackles in the air. Moon conjunct Jupiter brings good feelings. You may even be feeling very generous. Just be careful not to give away too much with the disruptions of Mercury Retrograde. Moon square Pluto at 6:54 PM PST could bring impulsive feelings that will uncover things about yourself that will be difficult to confront. Take these lessons with humility but never lose the reality of the situation. Moon opposition Sun at 11:08 PM PST brings the Full Moon in Libra. This Full Moon will be all about balance and trying to remain centered when it feels like everything may very well just crash down around us. Don’t worry about the intensity, it’s only the heavy old Saturn dragging up the past and it’s amplified by Mercury Retrograde intensified and Venus preparing to station direct on Saturday. Pluto will also station Retrograde next week. So we’re going to feel things snapping — into place or snapping in half — along with the snap of the planets’ changing moods. Expect old scores to be settled soon but in order to obtain the peace you seek, you must be willing to sacrifice the way things are for the way you feel things should be. The number of the day is 6, assuring you that you will have victory but you must plan carefully. Mantra: The caterpillar sacrifices everything it knows when its time to become a butterfly. 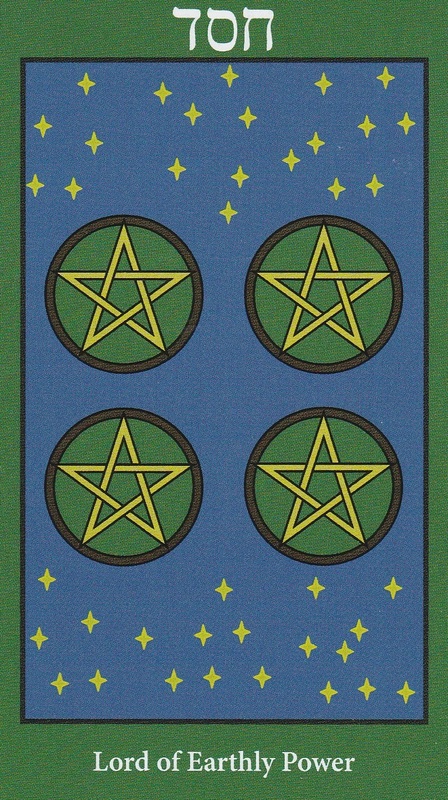 The 4 of Pentacles is a card of holding on tightly to the way things are. But we are being given a chance to free ourselves from karmic debt due to the current retrograde schedule. You have to make a choice now between the life you know and the life that is coming to you. Mercury Retrograde, Venus Retrograde and Saturn Retrograde combined are giving you the chance to fix karma with people you love so take the chances being offered now don’t come along very often. Don’t miss your opportunity by clinging to feelings that don’t serve you anymore. Moon opposition Uranus at 4:31 AM PST will find the weight of things staying the same weighing down on you. If you must take drastic actions to change the course of your life, do so carefully because the energy available to you now is delicate. Moon sextile Saturn at 11:19 AM PST will find you accepting that change is not always comfortable but you must understand that now is your time to grow. The Moon starts out the day in the karmic sign of Libra and goes void of course at 11:19 AM PST. While the Moon is void of course, surrender and let whatever it is – good or bad – come back on you. The Moon enters the mysterious sign of Scorpio at 3:42 PM PST but secrets unveiled could sting. The number of the day is 7, a number that appears when you come up short but you know why. It’s all good, just don’t let it happen again. Mantra: It hurts more to hold on than let go. 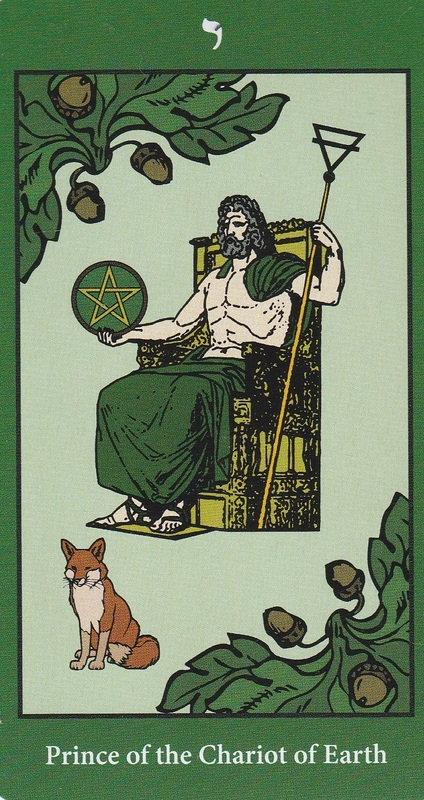 The King of Pentacles appears as a guide if you’re struggling with bringing abundance into your life. If the shoe is on the other foot and you have more than enough, help someone in need today. Moon opposition Mercury at 12:40 AM PST could bring conflict between the heart and the head. Ignore them both and follow your gut. Moon trine Neptune is a dreamy, airy transit that heightens empathy and psychic ability. You know what you need to do. The Moon is in the mysterious sign of Scorpio, reminding us that sometimes the most meaningful occurrences in our lives are not the ones that we work to create but the fated ones that come out of nowhere. The number of the day is 8, the number of infinity. Mantra: Everything has two purposes: to begin and to end. 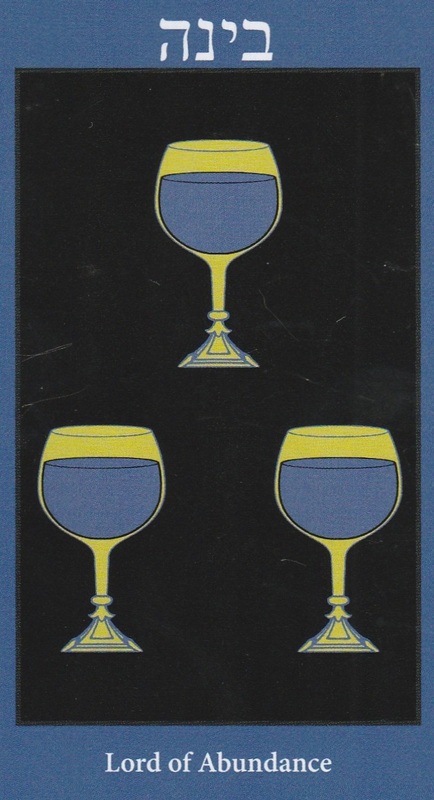 The 3 of Cups is a card that appears when there is a reason to celebrate. Be joyful but beware of excess. Moon sextile Pluto at 6:08 AM PST could bring deep feelings to the surface. Moon opposition Mars at 5:04 PM PST could leave you feeling irritable and pugnacious. Get out and get some exercise to release some of those feelings. Moon trine Venus at 9:17 PM PST will bring an appreciation for the beauty in life. Sun conjunct Uranus at 10:29 PM PST brings the opportunity for a much needed break from the routine. This is not a boring transit because of its intensity. But because it’s so volatile, there is an increased potential for accidents so be careful tonight. The Moon is in the mysterious sign of Mercury the entire day. She does go void of course at 9:17 PM PST so open your mind and don’t fight mysteries being revealed tonight. The number of the day is 9, a number of near completion. Mantra: Well done is better than well said. The Heriophant appears when it’s time to seek out the help of someone that has more knowledge than you – a teacher, a mentor, a spiritual counselor – whoever it is will be happy to help. It’s interesting that this card was pulled for Good Friday when many people will be turning to church to “mourn” the death of Christ and rethink their lives. It’s also interesting that Venus stations direct tomorrow, which also goes along with the whole “resurrection” theme. We must remember that we don’t die once, but many, many times, not only in others lives, but in this life as well. The true meaning of death is the ultimate sacrifice and a metaphorical death involves letting the you that is in the here and now become a you of the past. What can you do to evolve as a human being? The Moon is in the sign of Sagattraius, ruled by Jupiter, the King of the Gods. Pay homage to what is dear to you today by recognizing that nothing is forever. 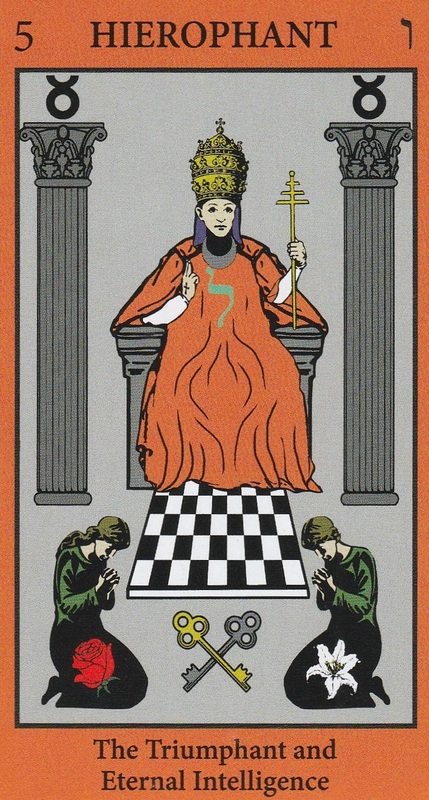 The Empress is the card of the goddess. She is the Feminine Divine. She is Venus, Aphrodite, Ishtar, Iisis, Ianna. Each of these goddesses journeyed to the Underworld in a away and were reborn anew. Venus stations direct at 3:17 AM PST, marking the end of this Venus Retrograde. Looking back, who or what came back into your life from the past? What scores were settled and what still needs to be done? For some of you, this is the only the beginning in a deep journey to the center of your soul. Welcome the opportunity for this transformation. Moon square Neptune at 6:15 AM PST brings foggy perception and illusions. Venus’ role as a trickster goddess isn’t emphasized enough. She sometimes likes to make people fall in love that don’t belong together for her own amusement. If you began a relationship during Venus Retrograde, things could start to fall apart from here on out. Any permanent changes you made may seem less than lackluster now that Venus is stationing direct. But there is beauty in decay. Moon sextile Jupiter at 2:15 PM PST will none the less bring happy, jolly energy to your evening. The Moon is still in the grand sign of Jupiter so don’t take things to heart during this shift. The number of the day is 2, a number of balance. Mantra: Everything is always changing yet something eternal remains. 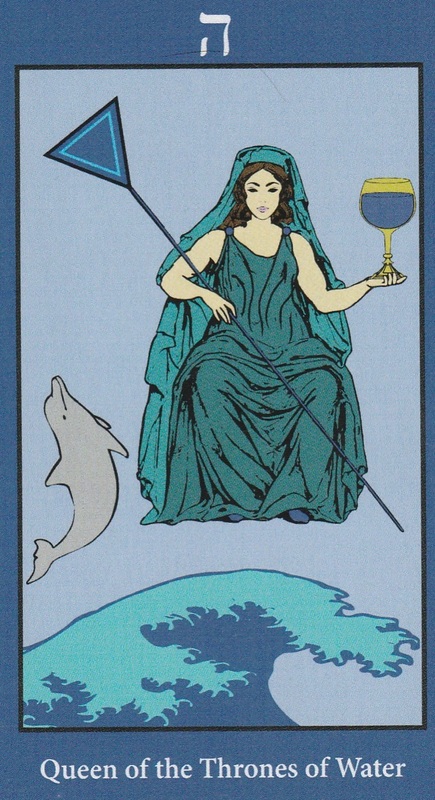 The Queen of Cups is the mother who holds you when you cry – both tears of happiness and tears of joy. She understands everything in your heart and offers to teach you the true meaning of love. Moon trine Uranus at 5:09 AM PST will find you craving the extraordinary today. Moon trine Sun at 9:46 AM PST will bring happiness, harmony and flow to your morning. Moon square Venus at 9:54 AM PST may turn down your enthusam you may have woke up with down a notch and you may simply feel like taking it easy and doing nothing. Moon conjunct Saturn at 11:26 AM PST could freeze your feelings so make sure you do whatever you can to work through these feelings. Venus sextile Mars at 6:24 PM PST is a sign of love, friendships and creativity. You have the power to attract good people to you with the potential for growing meaningful relationships. Moon trine Mercury 8:55 AM PST will soften the effects of Mercury Retrograde a little and open up some communication lines. The Moon is void of course in Sagittarius from 11:26 AM PST to 4:05 PM PST when she enters Capricorn, the sign of the cosmic teacher. The number of the day is 3, a number of things coming together. This entry was posted in Astrology, dreams, Mercury Retrograde, mysticism, mythology, numerology, occult, Rota Tarot, Runes, Saturn Retrograde, self help, spirituality, Tarot, Uncategorized, Venus Retrograde, witchy, Writing and tagged abundance, astrology, card a day, empowerment, inspirational, love, magick, manifestation, mantra, meditation, Mercury Retrograde, metaphysical, motivational, mysticism, numerology, occult, psychic, Saturn Retrograde, self empowerment, self help, spiritual, spirituality, tarot, tarot reading, tarot weekly forecast, Venus Retrograde, wicca, witchcraft, witchy, writing. Bookmark the permalink.